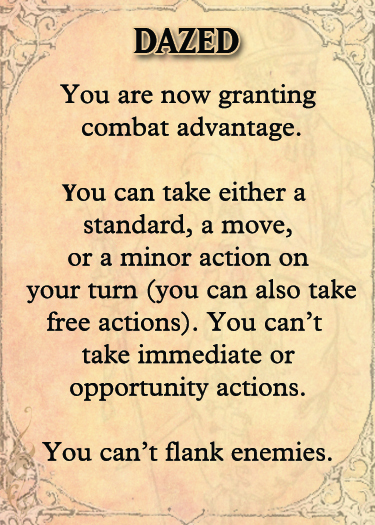 In my quest to speed up the table of players world wide (how presumptuous of me) I offer these homemade condition cards. The text will seem a bit different to you than what you may be used to, and that’s only because I wanted to stay out of trouble, but the meaning didn’t change. I tried giving them a bit of a Victorian feel, pulling the art from a site I listed in my previous post. 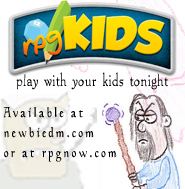 Just download, print, and play. You can find them here. Those are great! I will try them out at my next game. Nice. Rewording it for non-rule lawyers is probably a good idea, too. There are a bunch of different templates and customization options. I like them. You ought to do a set for positive conditions as well: Haste, bless, bull strength, etc. That way the cards can be put right in front of the character who is affected and removed when the spell duration is up. If you laminate the cards, you could even use boxes at the bottom and a grease pencil to mark the boxes as time/rounds pass. Very nicely done, and I like your previous blog as well about your cool internet finds. I think catdragon’s idea of making positive condition cards, and then laminating the whole set of them is brilliant and would definitely speed up a session. Right now I just have a handout I let float around the table, but I really like the idea of tossing a dazed card over the screen at a player! Nice! I’ve been tooling around with markers. I have to admit having a quick summary of the condition at the player’s fingertips is helpful. Thanks for these! I’ll give them a good workout. These look great! My only complaint is that sometimes, I would have to hand the players two cards. For instance, if they are unconscious, I have to hand them both the unconscious card and the helpless card because part of being unconscious is being helpless. So I’d love to see a version that combines similar things. Fantastic. I’ve kept trying to come up with a simple way (Without using a computer program) for everyone to track conditions in 4E and this looks very promising. I was going to use the folded index cards that everyone was tracking initiative with and hang folded color coded pieces of paper for conditions over them. It’s definitely looking like I’ll try out both methods. A great idea, conditions are sometimes forgotten in the heat of battle, not deliberate, but accidentally. Agh… Oh well… I guess I’ll fix them and post an update. D’oh.